Oh my goodness. Why on earth would they do that given the obvious polling troubles? Um… Is it to prove to somebody in the campaign who otherwise isn’t able to see what’s in front of their eyes? Now we know why they wanted all day kindergarten. They should have added “…or are you a low-information voter?” to the question. Yup. It’s like doing a cross where I routinely tell the judge no questions, rather than not knowing the answers and going on a deliberate and deadly fishing expedition. Elementary, really. 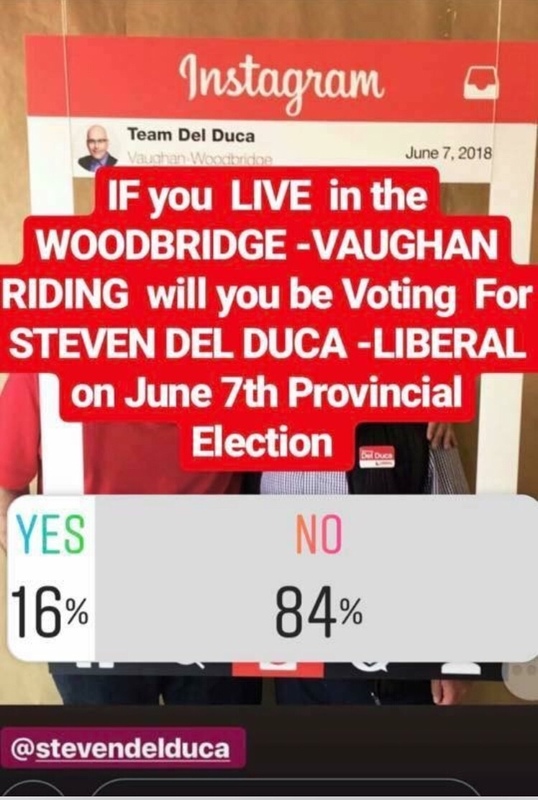 This wasn’t asked by the campaign, it was asked by Adriano Volpentesta and circulated by a third party called fixing Vaughan. If you’re going to publish make sure it’s right.